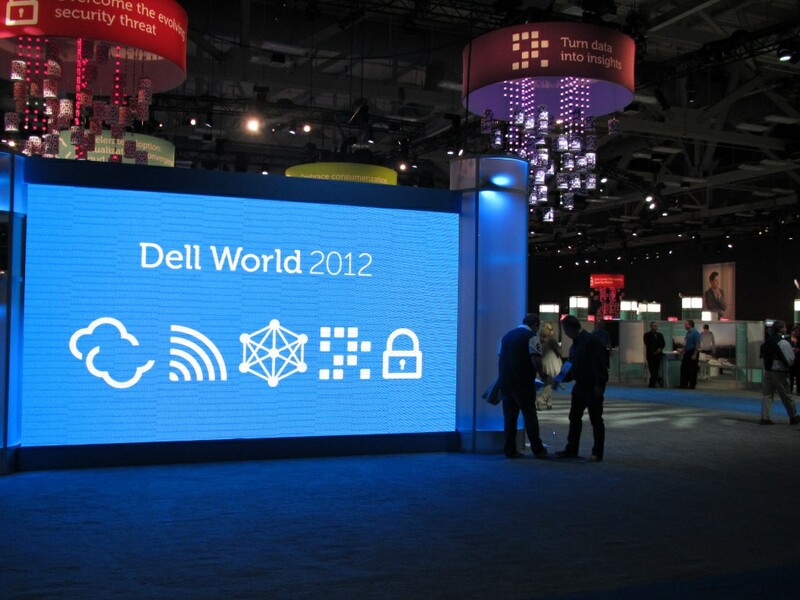 I’m back from Dell World, and immediately plunged into work again after half a day to recover from jetlag. I’ve got a massive backlog of writing to get through, and had other paid commitments to attend to first. The blogs are coming, I promise. See also a statement made by Steve Foskett (@sfoskett) on Twitter in the past week: “I hereby dub you ‘the analogger'” in honour of my analyst blogging tendencies. I take my time to mull things over and check out other sources, in order to bring you analysis, not just feelpinions. I like to think it’s worth it, and I prefer long-form writing in the style of David Foster Wallace anyhow. So there. I’ve downloaded Dell’s SEC 10-K filings and plugged them into my financial models so you don’t have to. Only the Justin-Model-Lite so far, but I’ll see how fancy I feel like getting over the Christmas break. Dell has an Altman Z-score (3.8) that indicates they’re not likely to go bankrupt within the next two years. So that’s nice. Dell has a negative cash-conversion cycle, which means they get your money before they ship you product, which makes them a lot more like a supermarket than a tech company. Which is interesting, and has bearing on their strategy announced at Dell World that I’ll definitely be talking more about. Dell has low debt (Debt-to-Equity ratio of 1.04, Leverage of 4.99, Times Interest of 23.2, interest cover of 19. 19!). They’re flush with cash, and can easily do more acquisitions from a money perspective. Whether they can absorb them well from an organisational change perspective remains to be seen. Cash return on equity is 39.16%. Wow. Sustainable growth rate is 39%. That’s very large. Looking at these figures, I’m almost willing to invest. I say almost, because I haven’t done the full analysis and the strategy bugs me for a couple of reasons I will blog about soon, I promise. Any sane person would need to dig into these numbers in more detail in a more complex model anyway. These are just numbers in a spreadsheet, and I’m not Nate Silver, so I’m not confident enough in my models yet to back them with my own cash. But I haven’t converted them to Python and R scripts yet, so who knows? I’ll try to spend some time explaining this stuff to those who didn’t take my finance courses, at least the quick-and-dirty version, but suffice to say that Dell is in very healthy financial shape to do whatever kind of company transformation they please. N.B. : That means Note Well, Those Who Cannot Read But Still Hire Lawyers: This is personal opinion, and if you take this as investment advice, you deserve to lose all your money, possessions, sanity, and all but three of the hairs on your head. I mean, seriously? You take investment advice from some random dude on the internet? Why not invest in TimeCube guy while you’re at it? I mean, jeez. Nice post. Dell’s pure financial foundation ain’t bad. The question for them is about integration and expansion into adjacent markets. That means having foundations in security, analytics, cloud, mobile, and social. Right now, Dell just has a piece of the puzzle in all of these areas, but is missing significant portions of cloud, mobile, and social to be a full-fledged enterprise infrastructure and services provider. The next couple of years will be a real test to see if Dell can push its chips into the right pots or whether it becomes a niche legacy firm. You’re right, and I’ve got a bunch to say about Dell’s espoused strategy. Coming soon! Justin – are you able to explain how you arrived at a low D-to-E ratio of 1.04? From Dell’s 10Q ending on 11/02/2012 I get equity of about -$2.5b (notice it’s negative). This also represents net tangible equity. Surely, D-to-E ratio can’t be positive let alone 1.04? I was using full year figures from the 10K filing for FY ending 2012-02-03. However, I’ve just pulled up the 10Q figures in EDGAR, and Shareholder equity is shown as $10,198 million. It would appear you’re calculating only net tangible assets, not all assets? Intangibles do have value, and form part of the equity of the company, which is why I include them, not just tangible assets.